Rajasthan Subordinate and Ministerial Service Selection Board has invited applications for recruitment to the post of Live Stock Assistant. The candidates eligible for the post can apply in the prescribed format on or before 11 May 2018. 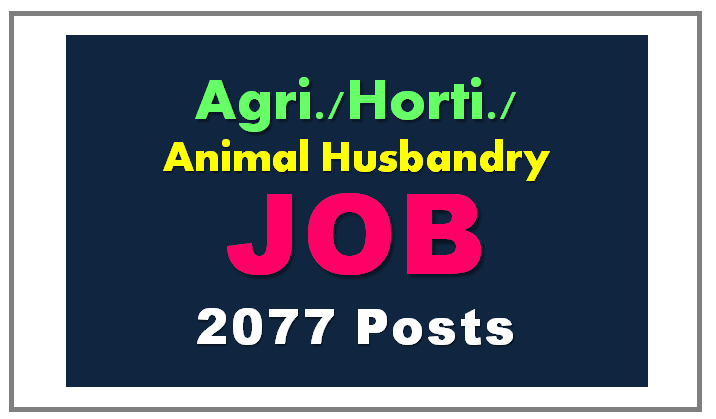 Eligibility Criteria for Live Stock Assistant Posts:12th Pass with Physics, Chemistry and Biology or Horticulture (Agriculture), Animal Husbandry and Biology or equivalent from a recognized Institute or 1/2 years training of Livestock Assistant from a recognized institute. Online applications along with relevant documents and application fee should be submitted through the official portal after logging in. The last date for submission of online application is 11 May 2018.